Building a Better Computational Environment !! The ERP is a system which is under construction of the High Computing. The ERP system is a package which includes Human Resource, Inventory and Letter Management that shares the same database. Among this, currently the directorate begins to automating Letter Management. This system will automate the business process of Record office. 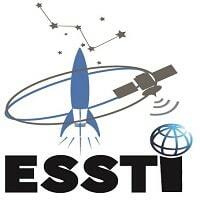 The ESSTI is providing Ph.D. and M.Sc. training in four fields of studies. It has a total of 40 students. The digital library will be used to store the available books in soft copy and will provide access to the students and the institute staff’s regarding the courses, previous exam and notes of each department. The Digital Library will be designed using a tool is called D-Space. The data center is designed mainly for the different application the directorate design to develop. It also used to manage this application, internet and web. The institute plans to build space technologies that can gather big data from satellite, Ground stations and Telescope. The directorate plans to build a high computing facility that can process, store and analyses this big data, so that the directorate can build a better computational environment for the institute researchers and PhD students. In order to accomplish this, the directorate has already established collaboration with the International Center for Theoretical Physics (ICTP) in the area of High Computing and Big Data Analysis. One of the Technology focus area of the directorate is High-performance computing (HPC). HPC is well suited and steadily being adopted for myriad defense and aerospace applications. HPC currently is playing a major role in: training and simulation; on-board systems for navigation, defense, and attack; and command, control, communications, intelligence, computers and surveillance.